Planning an island getaway? Cuba is one of the most popular destinations for Canadians. It’s a relatively short flight away, and it’s an island that has many attractions. Because travel insurance is mandatory for travellers in Cuba, make sure you have it before taking off to ensure you have the coverage you need just in case things don’t go as planned. You will also have to present proof of insurance; if you don’t have an insurance policy by the time you get to the airport, you’ll have to purchase one before flying. Savour the white sand beaches and warm turquoise waters of Cuba, and revel in the exotic rhythms of salsa and rumba anywhere you go, any time of day. The largest of the islands in the Caribbean, with more than 11 million residents, Cuba has a number of world-historic sites in Trinidad and Habana Vieja. 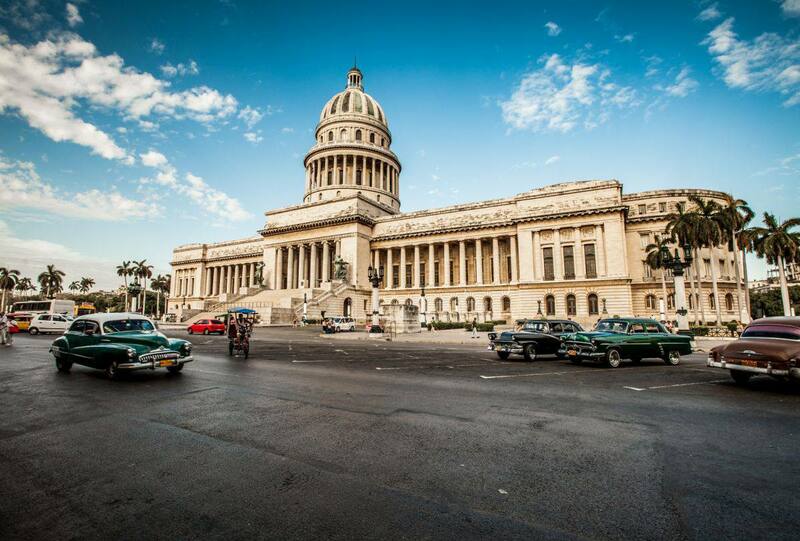 Cuba is known for some of the greatest colonial architecture in the Americas. It’s also known for its world-class cigars! It is important to note as a visitor that the ruling political party in the Republic of Cuba is the communist party. Travel insurance will give you the peace of mind of knowing that you can get help if you need it when you’re travelling. From simple things such as lost baggage to emergency situations, doctor visits and even an emergency medical evacuation, Blue Cross travel insurance has you covered. Get a travel insurance quote online today.